The SR61 series is Honeywell’s high-end scanner line for industrial applications. All models boast a particularly sturdy housing that complies with IP54 certification against dust and liquid ingress, resists 2-m drops to concrete and extreme temperatures of -20 to +50 °C. All variants impress with enormous decoding performance and speed with a high motion tolerance, which facilitate scanning tasks and provide for high efficiency. Select the fitting scan engine according to its intended application. 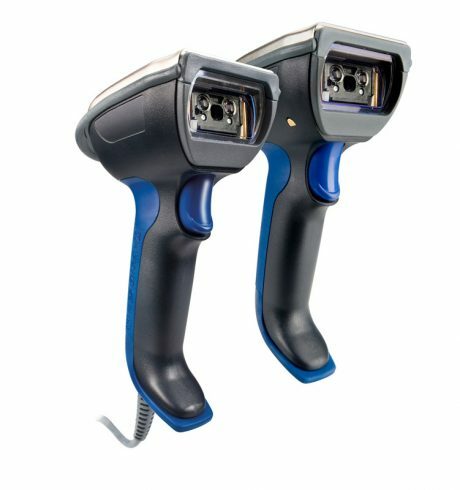 SR61 scanners come in a variety of versions: as a 1D laser scanner, a 1D linear imager or a multi-functional 2D area imager. There also is a range of special versions available for DPM barcodes, for document, image, signature and even video capture or with a scanning range of up to 15 m. Within the SR61 series, you may choose from corded USB/RS232/KBW or wireless Bluetooth variants. The EasySet configuration software is included with the scanners for easy adaptation to changing requirements.